Individuals filing a chapter 7 bankruptcy petition are subject to the bankruptcy means test to determine whether an individuals’ income is sufficiently low enough to qualify for chapter 7 bankruptcy relief. Where an individual’s income is deemed too high under the means test, a chapter 7 bankruptcy filing may not be an option, and the individual may need to consider a repayment plan chapter of bankruptcy (e.g. chapters 13 or 11). Yet, even when an individual does not qualify under the means test, a chapter 7 bankruptcy may still be an option if there are special circumstances in the case such as a significant medical condition, or where the bankruptcy filer’s debts are primarily non-consumer in nature (with a business venture or profit motive). Thus, it is critical that an attorney analyzes the nature of an individual’s debts, and where the debts are primarily non-consumer debts, chapter 7 bankruptcy may still be an option for an individual with higher income. In the Ninth Circuit Bankruptcy Appellate Panel’s recent Cherrett case, the Court determined that an individual’s housing loan was a non-consumer debt. Aspen Skiing Co. v. Cherrett (In re Cherrett), 2014 Bankr. LEXIS 4704 (B.A.P. 9th Cir. Nov. 7, 2014). In reaching its decision, the Court looked to the primary purpose of the home loan and determined that the loan was related to the individual’s employment. 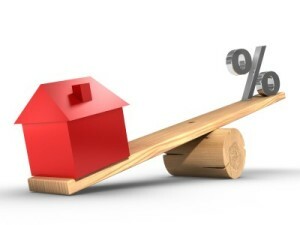 Specifically, the Court noted that the individual hoped to realize a profit from the house and that the home loan was an integral part of his employment compensation package. While most individuals considering a chapter 7 bankruptcy filing have not received a home loan from their employer, the Cherrett case provides good analysis regarding the type of facts necessary for a typical consumer debt, like a home loan, to be considered as non-consumer in nature. In accordance with the Cherrett case, attorneys should carefully consider whether a client’s debt was incurred with some profit or business motive before advising the client regarding bankruptcy means test qualifications. I am a member-attorney of Allen Maguire & Barnes PLC (formerly Allen, Sala & Bayne PLC) where I represent lenders, business and individual debtors, committees, and trustees in loan workouts and in all phases of bankruptcy matters. I have been involved in a broad range of bankruptcy cases, including cases on a national scale, and have successfully conducted trials and appeals.